We’re making real progress against cancer. But you may not know it if you’re poor. 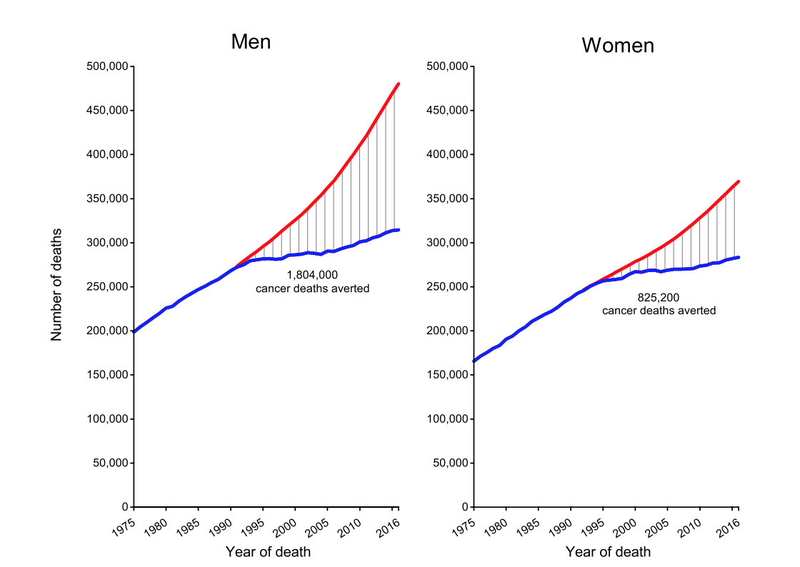 Home/Publications/Poverty and Prosperity/We’re making real progress against cancer. But you may not know it if you’re poor. In the past, cancer was seen as a death sentence. These days, it’s increasingly a survivable or chronic disease. But that’s especially true if you’re rich. That’s the takeaway from the latest big reports on cancer deaths in the US and globally. On the one hand, screening to detect the disease early has become more widespread, and better treatments are helping people live longer with cancer than ever before. Yet these successes aren’t being evenly distributed across populations. Cancer is increasingly a microcosm of the inequality that defines our time. As the gap between the haves and have-nots widens, the income gap in cancer deaths will continue to grow, too. First, the good news for the United States. Over the past decade, the US has made incredible gains in reducing cancer deaths, according to the American Cancer Society’s latest cancer statistics report. Put another way, the cancer death rate has dropped by 27 percent from 215 deaths per 100,000 people in 1991 to 156 deaths per 100,000 in 2016. Let’s pause to consider how remarkable this is. This consistent drop in the cancer death rate has continued at a time when other major causes of death in this country have flattened. So the cancer story really is one of progress. That raises the question: How did we make these gains? And that’s helped make these cancers more survivable. But the other big story has to do with smoking. Much of the increase in cancer deaths over the last century was driven by increases in smoking — which is still the leading cause of preventable disease and death in the US. 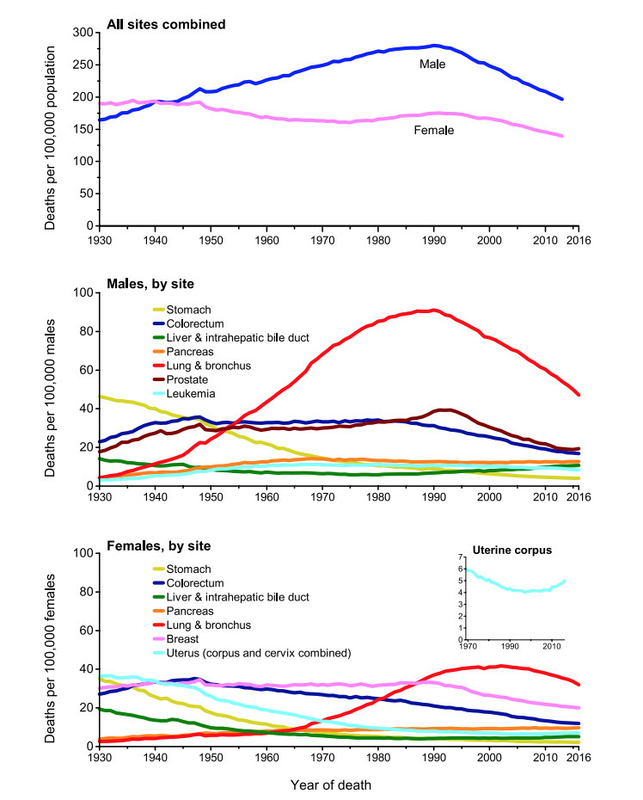 So when smoking rates declined, a drop in the cancer death rate followed. While the progress against the four major cancers is cause for celebration, in other cancers, the gains haven’t been as dramatic — or there have been reversals. The rate of liver cancer incidence is rising faster than that for any other cancer — a trend the American Cancer Society attributes to the high rate of undiagnosed hepatitis C among baby boomers. So there’s clearly a lot of work to be done. The progress against cancer is not unique to the US. The largest study of cancer survival trends, published in 2018 in the Lancet, pulled data from cancer registries in 71 countries covering 67 percent of the world’s population from 2000 to 2014. They too found cancer survival is increasing in many countries, even for some of the most deadly cancers, such as liver and lung. But the paper highlighted another important story that emerges from the data: There are persistent disparities between the rich and the poor when it comes to your chances of beating cancer. And that’s as true within countries like the US as it is among high- and low-income countries.